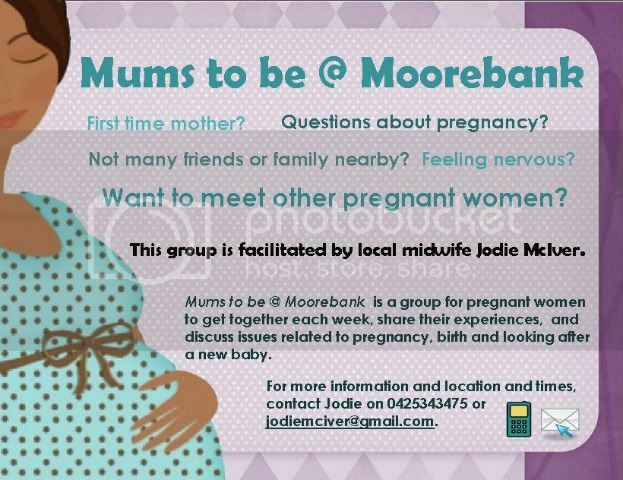 Mums to be in the Moorebank/Wattle Grove/Holsworthy area? I am starting a group called Mums to be @ Moorebank for pregnant women to get together with other expectant mums, support one another and discuss issues related to pregnancy, birth and caring for a new baby. Thanks guys! Well please let anyone else you know around here who's pregnant know about it. I'd love to hear from them! Am happy to give my details through PM. Rivi Cecilia - my 2nd VBAC Home Birth has arrived! This year I'm just doing some casual work as a midwife at Bankstown Hospital, I also work for the Anglican church in Moorebank though. How often do you guys meet?